Should it be written or drawn? Either way would be fine. It's up to you on what you want to do. So... 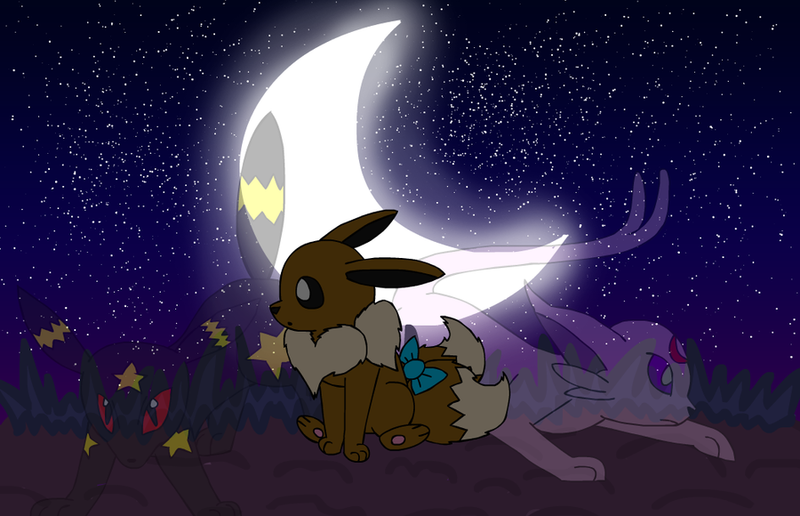 This is my PMD ending tribute. All of my teams, the hero and partner of which, have a story that is, or at least similar, to the ones in the games... This took me 6 hours in Flash, I'm certainly proud of it. Lol. The one on the left is Sarah and Sasha. I didn't draw a background for it to fit the other two... As for what's going on, you'll find out later... Someday. XP But if you really want to know what the note is for, I can note you about it. 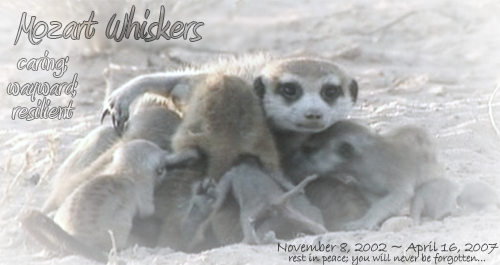 Your tribute is amazing Pancake. Really well done with Flash there you should be proud. Jubilee is really sweet too I also love her blue scarf it really suits her pale colour scheme. *cough* K, I have some artwork I should have posted here awhile ago. ._. Here's my new ID for dA. Bleh. History: Sohnii is one of the Rahkshi walkers who was corrupted by Makuta Teridax. His personality was altered, he used to be a very kind, friendly, and cheerful character. Not anymore, obviously. He was later converted into a Hunter to fill the void created by Teridax, but he is a bit young to be so. Even though his skill pretty much makes up for it, he's not as strong as an older Rahkshi is. Personality: Sohnii is a bit of an odd character. He's rather cold-hearted, to the point of offending others. He's very bitter and harsh, and comes across as a bully. He's not though, and cares for others' safety alot. He does have an attitude problem that he's aware of, but due to being slightly corrupted, he has little control over it. He does have a sweet side but rarely shows it. 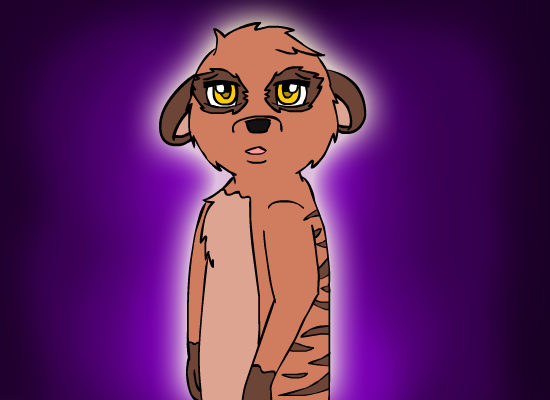 Sohnii is a logical thinker and very serious, as well as mostly solitary. 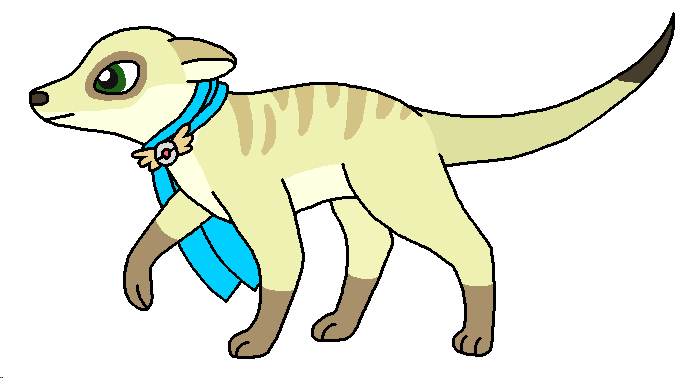 He can be very vicious when ticked off, but he's mostly calm, even in the worst of situations for the most part. 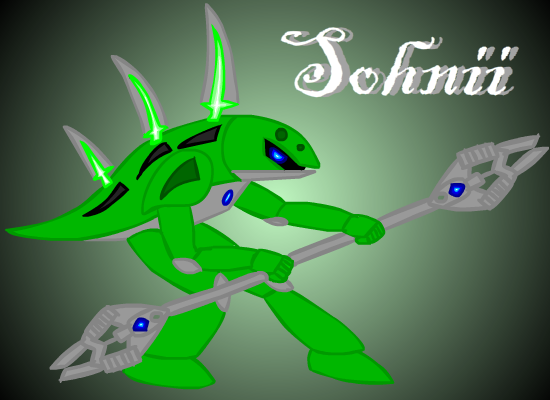 Sohnii is very responsible, skilled, cunning, and smart. Sohnii doesn't tell anyone, but he is perfectly aware of his personality change, and hates it, and hates it even more when he remembers he can do nothing about it. He has feelings for Xalo, strong ones, but doesn't know what to think about them, nor how to express them. Strong emotions, other than hate, he has a hard time putting a logical explanation on, so he doesn't understand them. I have two more, which I'll post after I get replies. I've decided to place Bionicle-related artwork in a different thread... As far as information and bios go. So Kaina and the Alphabet will go somewhere else. Yay, I finally got this done! Before you flame me, read this! I love the new style, Pancake. It looks awsome! And I love the Pancake one. I mentioned this in a journal, but no one seemed to care, so I went ahead with the idea. 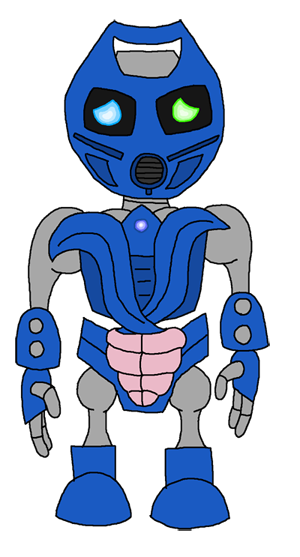 This is Matoran Sarah, what she originally was. Jayden is the only one that knows this, not sure if he's seen her in this form though... She has a history with Makuta Teridax, was a member of Ga-Koro, and unlike most Ga-Matoran, can control the element of Water. She was thought to have been destined to become a Toa for this reason, but due to being severely traumatized after her encounter with the Master of Shadows, she became distant, shy, extremelly timid, disturbed, and refused to talk at all. 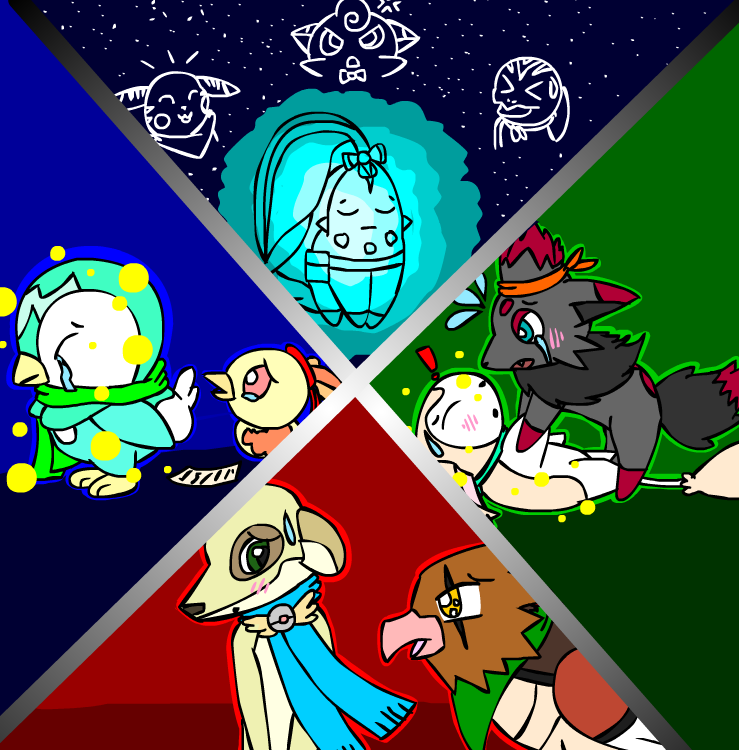 It was later revealed that her destiny was something else entirely, and would take place in the Pokemon Mystery Dungeon world. She was transformed into a human child, and left with Jayden. They became close, having known eachother since childhood. Sarah, not willing to share her real name, was named by Jayden. There are only five things that remain from her former form. First off, Sarah has the ability to create and control water at will. The marking on her forehead glows when she does this. Second, Sarah can see in the dark. This power derives from the mask she wore as a Matoran. (She was a Matoran with Toa-like abilities, so unlike most Matoran she could use her mask power...) Second, Sarah often has dreams, even as a Piplup, of her life on Mata Nui. Both happy ones of her former home and friends, and frighting ones of her encounter with Makuta Teridax and the way he had altered their lives for the worst. She's not sure what it is. Third, Sarah has a pendent that glows, and is shaped like a heart. It holds her soul in place. It is equal to a Heartlight in Bionicles... As long as she is alive, it glows brightly. If it is removed, she dies. Fifth, being a formerly semi-organic being, Sarah has a longer lifespan than most. Only if she's killed will she die. Ta-Da! This came out horrible, but tell me what you think please!